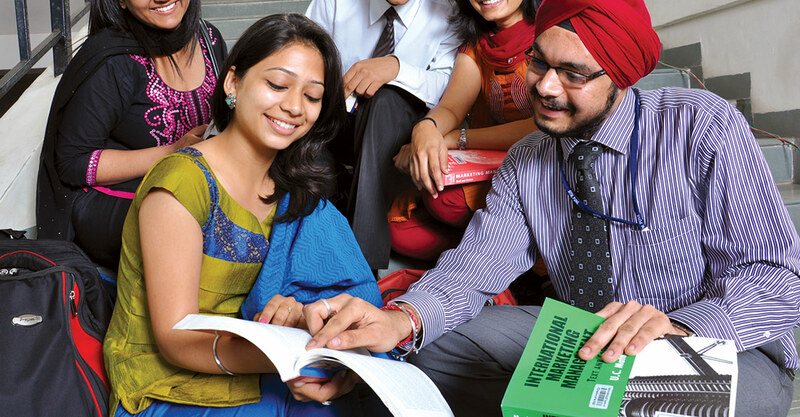 It is an AICTE approved Two Year Full Time Program in Management with focused specializations in Marketing or Finance. Specialization will be offered in two disciplines to two groups of students which means about 30 students can specialize in Marketing and another 30 can specialize in Finance. The choice of selection of the students for the finance specialization will be left to an expert committee, which will be constituted by the Director Academics. Preferred educational qualification for this course is commerce. Students from other science streams are discouraged. Few interested students from this batch can pursue SAP – FICO Module, in their third semester, subject to the availability of trained instructors from the industry, who will teach this subject in our Computer Labs. An additional fee of Rs. 20,000 will be charged for this course, from those who opt for this course at that stage. We have the licensed SAP software installed in our labs. These students have great opportunities to join the IT industry as SAP consultants. Hence, those specializing in SAP –FICO module will be fielded for the role of consultants only in IT and other companies during campus placements. As the number for this class is restricted to a few qualified students opting for this specialisation from PGDM batch of BIMM and BIMHRD, they will be clubbed together to cater for efficiency, maximum utilization of resources, common standards within the society and for greater co-ordination. This will be known as Sri Balaji Society, Pune batch but they will still belong to their respective institutes and remain in their roster for all purposes. The SBS batch will be constituted in the first semester. *Note: Adequate IT inputs shall be given to all the students. Academic Inputs in Various Specialisations - A general course outline. All the Business Management students have to take up compulsory 'company project studies' i.e. internship for the period of 2 months duration.